An open edition print from a watercolour + indian ink original artwork/illustration by Marjolein. Supplied as 'Print Only' [without watermarks] on 170 gsm off-white 100% recycled papaer, acid free. A4 size: 297mm high x 210mm wide. Other sizes are available on request - simply get in touch and let us know your requirements. 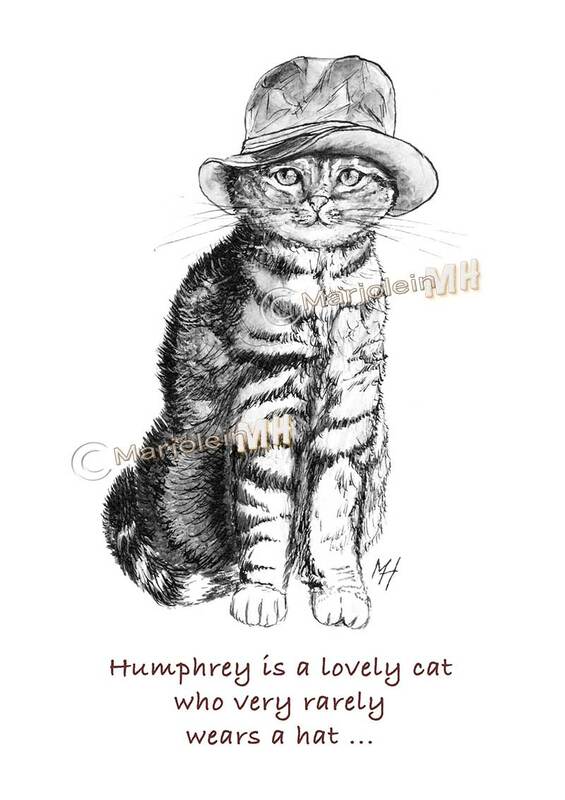 If you happen to have a 'similar' looking nice pussycat, let us have your pet's name and we will substitute it for Humphrey's ... he really won't mind ! just get in touch before you place your order. No additional charge will be made for this personalisation. 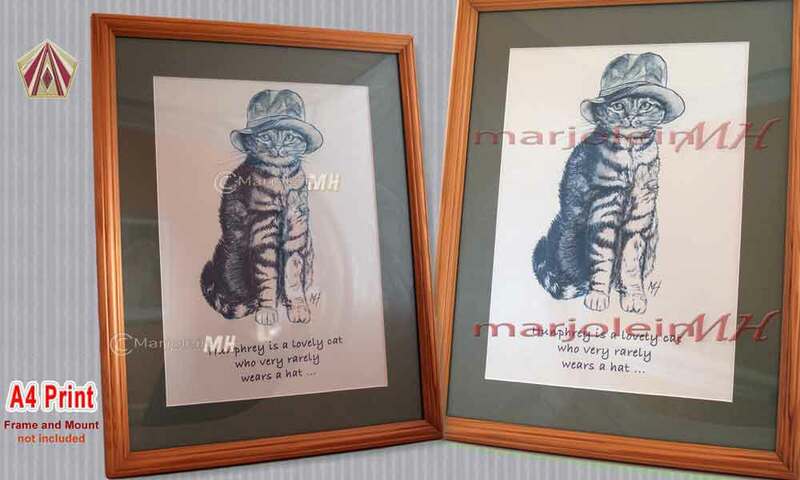 A pleasing fun and artistic Item - start collecting Fun Prints by Marjolein. 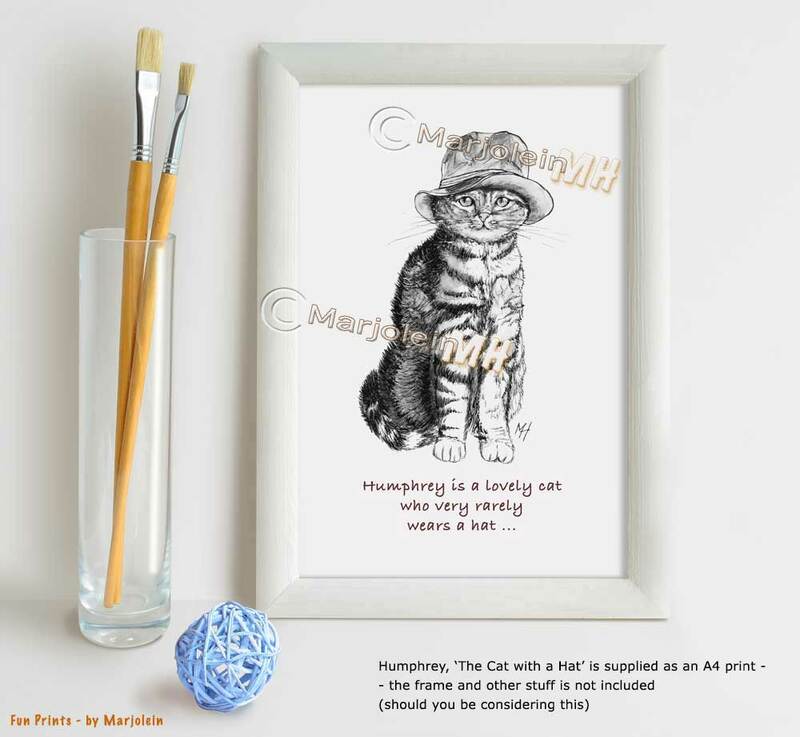 View - Humphrey The Cat on Ilkley Moor ~ with his hat !